The Holy Spirit Lives in Us, But Do We Realize It? HomeBlogSpiritualityThe Holy Spirit Lives in Us, But Do We Realize It? Before Jesus leaves this earth to return to his father in heaven he promises his disciples that they will receive the Holy Spirit, the Advocate, who Father God will send them. The Holy Spirit will teach them all things and remind them of what Jesus said (John 14:26). A few weeks later, the Holy Spirit shows up. He comes with power and might. He supernaturally enables the disciples of Jesus to do amazing things (Acts 2:1-4). What about us today? For people who see no evidence of the Holy Spirit in their lives, they assume this promise of Jesus only applied to his disciples, that the Holy Spirit is not a present-day reality. However, other people operate under the power of the Holy Spirit most every day. They see Jesus’s promise as one that applies to all his followers throughout time. They believe that the Holy Spirit lives in us—all of us. Which is it? Neither Paul nor Timothy were disciples of Jesus, but they are his followers. As followers of Jesus they have the Holy Spirit in them, even though they weren’t his disciples. The same applies to us today. As followers of Jesus, we have the Holy Spirit in us. The Holy Spirit lives in us. 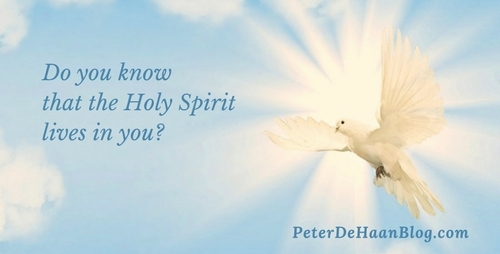 The question is, what are we doing with this Holy Spirit power? Are we ignoring it, or using it to accomplish amazing things for Father God and Jesus?